Paulina is using Smore newsletters to spread the word online. I can't believe that we have started yet another year. I would like to wish much health and happiness in 2016 to you and your loved ones !! 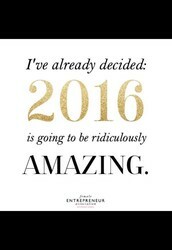 This will be an amazing year !! 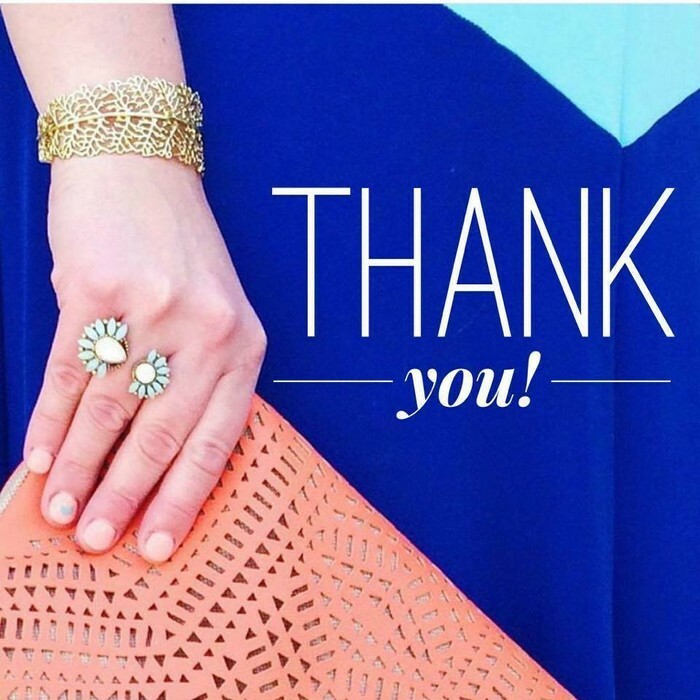 2015 was a Record Breaking year for Stella & Dot not only in sales but also in recognition. We have been featured on the Today Show, INC magazine, and the Business Insider and we had a ton of celebrities wearing our fall and holiday lines, including Eva Longoria, Carrie Underwood, Mila Kunis, and Jada Pinkett Smith. The goals that I have set for myself have not only been met but exceeded thanks to all of you - my fabulous and loyal customers. I can't even begin to express my gratitude !! I am absolutely loving being my own boss, setting my own hours, and working with fabulous customers - like you. My goal for this year is to give away more Hostess Rewards than ever and helping style each one of you for any occasion that may come up with our new collections. What's New in January ? 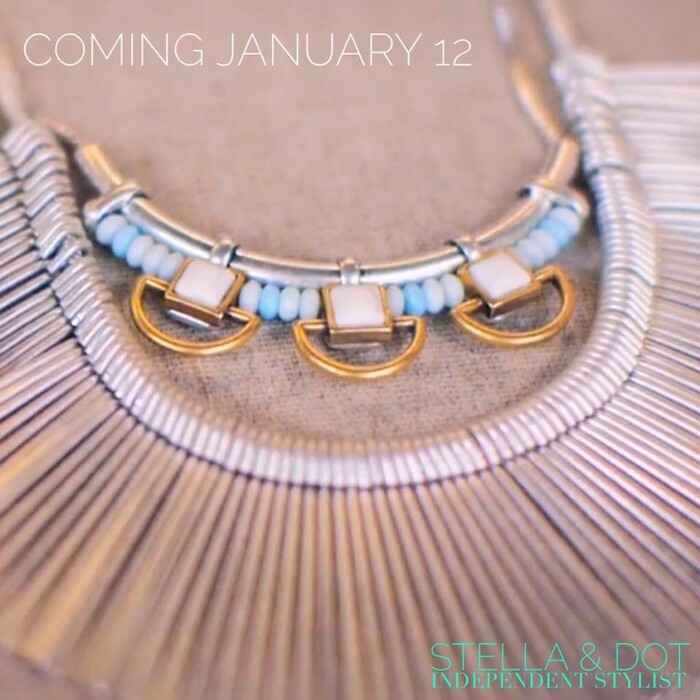 Stella and Dot is ALWAYS hiring!! Come join us as a stylist and you can be apart of this amazing company. 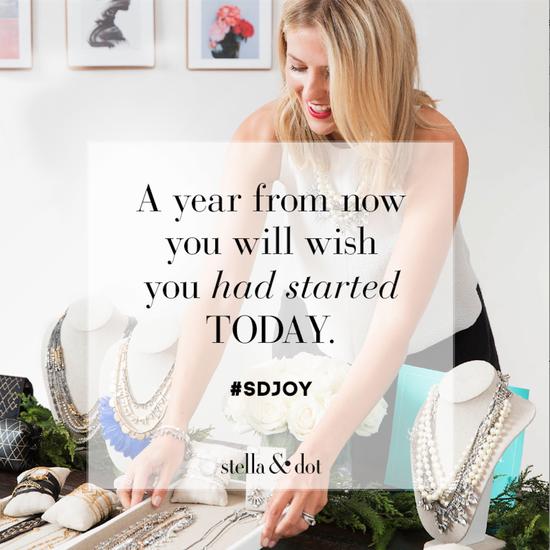 I always tell people the "WHY" I joined Stella and Dot changes constantly and "WHY" I continue to do so will be changing constantly.....Stella and Dot provides me an opportunity to stay at home with my son, bring income into our house, AND have fun...I AM MY OWN BOSS and I love it!!! 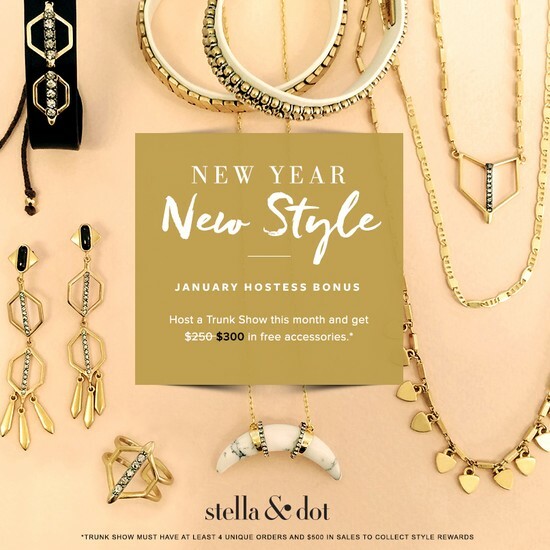 Stella and Dot Sign Up Fee is $199 which includes your starter kit, your website, AND $350 worth of jewelry...BUT for the month of January, you will get an additional $100 in jewelry!! THAT'S RIGHT!!! $450 worth of our products for signing up!!! PLEASE if you have the slightest interest in joining, contact me and we can talk!!!! YES SPRING IS JUST AROUND THE CORNER!!! I have been anxiously awaiting to share with you this Spring Line!!! I was selected to preview it a few months ago and was SWORN TO SECRECY about it until NOW!!!!! 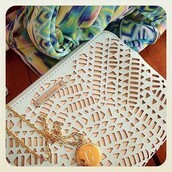 Fringe is still all the rage BUT we have new delicate statements and OF COURSE pieces with TONS of Versatility!!! Take a look at the NEW look book through the link below ! We also have a HOSTESS BONUS!!! For everyone who hosts a show THIS MONTH you will be able to earn EXTRA HOSTESS REWARDS!!! Now seriously, who does not love that!!!!!!!! For those of you that have earned those Dot Dollars remember Dot Dollars can be redeemed until Jan. 5th!! 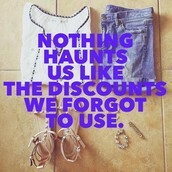 SO let's use those discounts and bring in those orders!!! 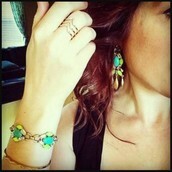 I have an online Dot Dollar Redemption Trunk Show going on for you all. Follow the link below to redeem your Dot Dollars. If you need your codes again, PLEASE message me ASAP!!! 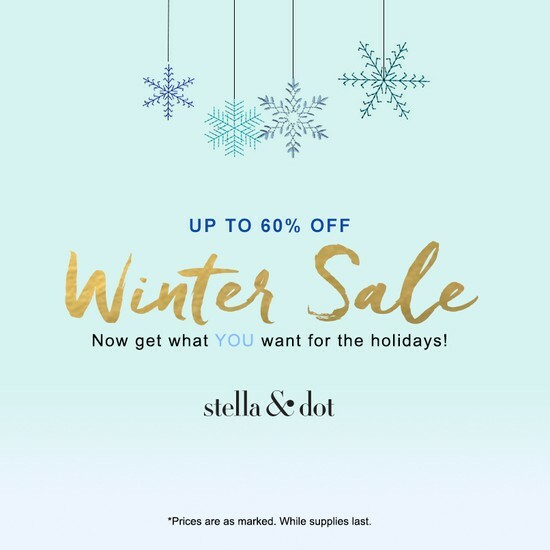 Don't forget to check out our WINTER SALE!! 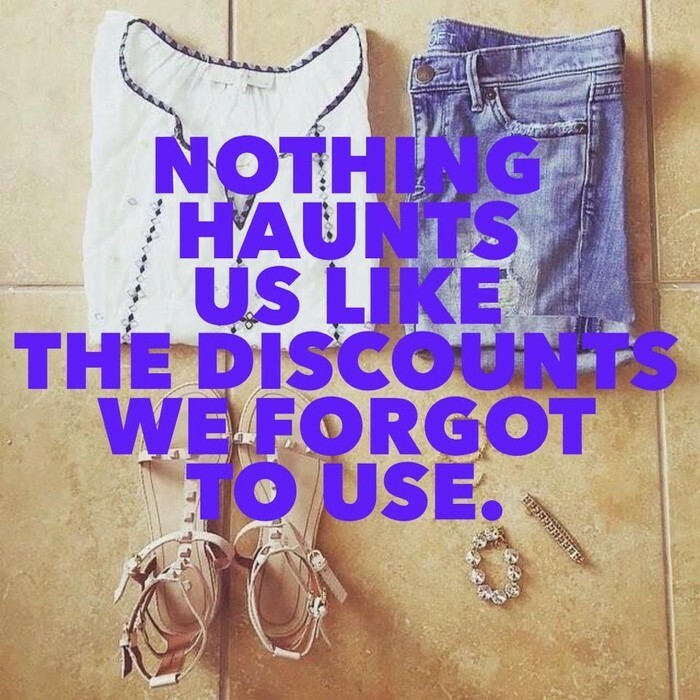 Items are up to 60% off!! Grab them now while you can!! Once these items are sold out THEY WILL BE GONE FOREVER!!!!!! This is a great opportunity to get one of our scarfs for an amazing price of $23.60 originally going for $59. There are tons of great patterns and colors available. The Double Clutch in Soft Mint is also on sale for $44.50 originally $89. It's big enough for your phone and other small things that are usually floating around your purse. I use mine to keep all of the essentials which makes transferring purses super easy. His is an amazing combo of color and craftsmanship. 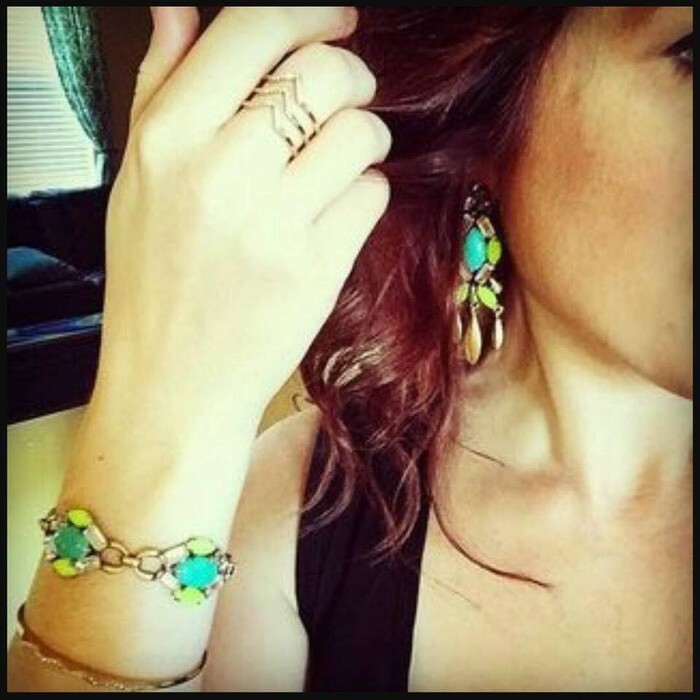 The Jordin earrings and bracelet were recently featured in Redbook magazine and you can score the earrings for $19.60 (original $49) and the bracelet for $23.60 (original $59). 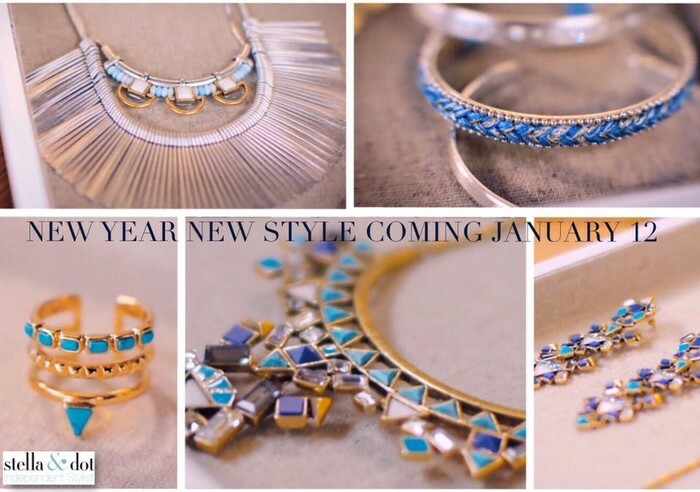 January Trunk Show Exclusive Offers !!! January Trunk Show Exclusive Offers start Jan. 7th through Feb 1st! Remember when you SPEND $50 you unlock these beauties for 50% off!!! 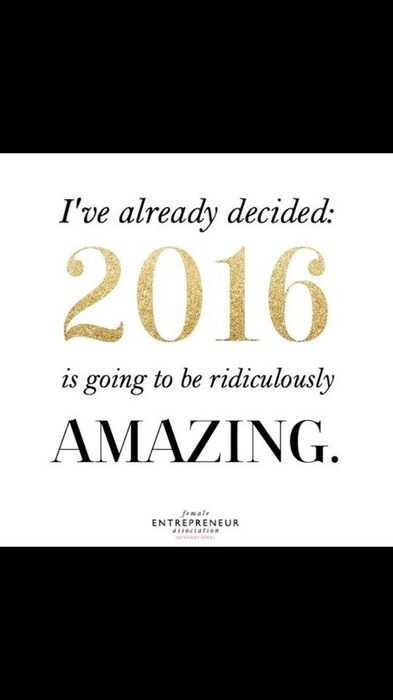 Thank you all for all of your support in helping me launch my business in 2015! I truly appreciate it !!! Coming in a different color ! The Ecsential Fringe Necklace in gold has been a huge hit. Now it will also be available in silver ! 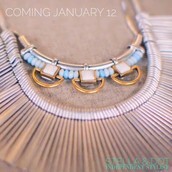 The Spring Line will launch on Jan 12th so get ready for more amazing pieces. I am ALWAYS willing to meet and discuss what Stella and Dot has to offer you!! Whether it is hosting a trunk show, having a one on one styling session, OR becoming a stylist yourself, I AM HERE!!! Please do not hesitate to call, email, text, and we can set up a time and place to meet!! Coffee/Wine/lunch....IS ON ME!! !